The Slim leather chair possesses a clean, minimalist and very contemporary design which makes it a great match for any room of the house that is stylish and modern, from the office to the living-room, but also for hospitality businesses such as hotels, restaurants, pubs or bars. The upholstery covering the whole chair is made entirely of leather, which has been chosen and crafted with great attention in order to create a high-quality product that is both extremely attractive and comfortable. 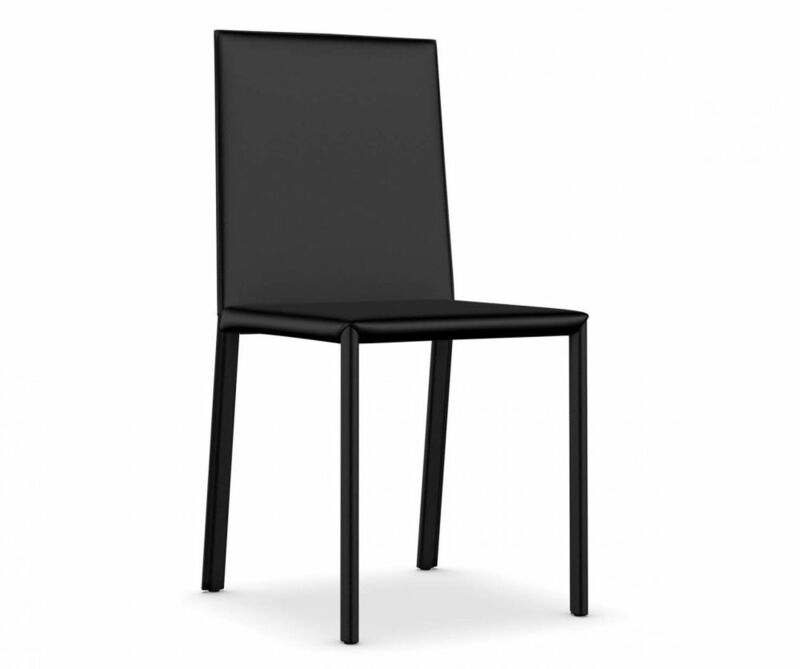 Available in different shades, from light or bright colours to dark tones, the chair also exists in three different versions. You can indeed choose to get one with or without armrests, but also with a high back. Timeless and resistant, this piece of furniture is sure to enhance your space for many years to come.